Cherry trees Care Home, a purpose-built Barchester Health Care home on the outskirts of Stratford-Upon-Avon, is a 24-hour nursing care centre for older people, those with dementia and physical disabilities. In late 2013, owners Barchester Health Care began investigating biomass heating solutions for the 81-bedrroom building (all with ensuites). The site is off-gas and was originally heated with two oil boilers. With a 24/7 heating requirement for the frail, the site had a high heat usage and costly outgoing – biomass was a more cost-effective solution in the long run. Rural Energy was invited to develop a suitable solution by ESCO (Energy Supply Contractors) company AMP (Aggregated Micro Power). Rural Energy and AMP worked together to specify a 199kW Heat Pod suitable for wood pellets. The Heat Pod comprises a 199kW Herz Firematic, flexible fuel feed, pipework, buffer, heat exchanger and a v-profile fuel store. Pellets are ideal as a fuel source for this site as they can be ‘blown’ into the fuel store in a short time space – they require less space on site for the delivery vehicle and can be delivered from a distance away through long pipe. The Heat Pod has the advantage that it is pre-fabricated off-site. This allowed the care home to carry on business as usual whilst it was being built and the secondary side heating system installed and v-profile fuel store built. Rural Energy acted as Main Contractor on this project, overseeing all on site works. Works included underground pipework, preparing the car park for the siting of the Heat Pod and preparing the existing pipework for retrofitting. 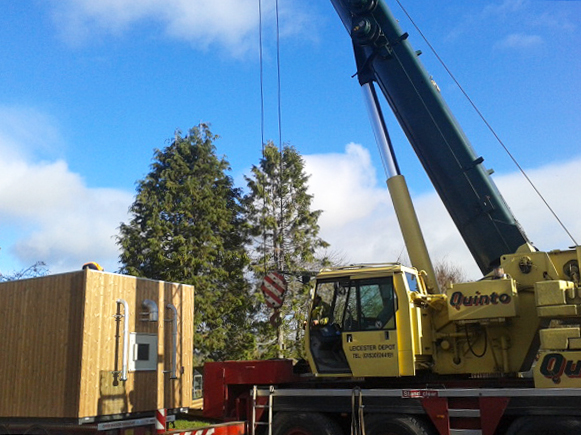 The Heat Pod was craned into position with minimal disruption. 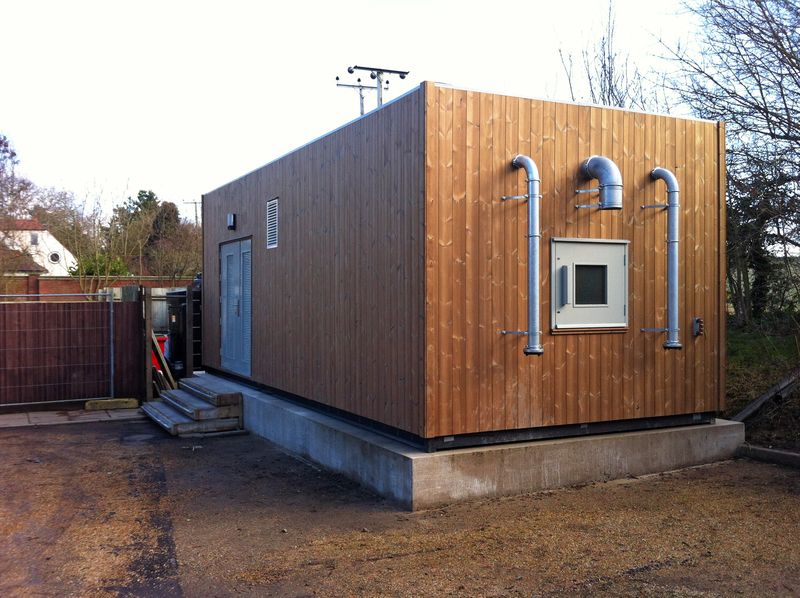 Rural Energy’s team and subcontractors then piped the biomass heating system into the existing one. The Pod is finished with thermowood cladding, a smart exterior that suits the rural setting of the care home.